There could be a path to a simpler recovery after a heart attack. 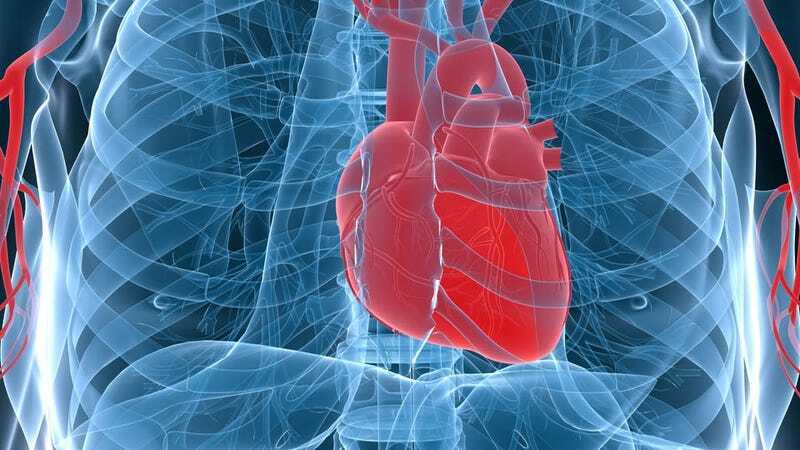 Duke University Medical Center scientists have discovered a way to turn the scar tissue that forms after cardiac arrest into healthy muscle tissue, which would make a stem cell transplant unnecessary. To achieve this, researchers introduced microRNA to scar tissue cells in a living mouse. These hardened cells, called fibroblasts, develop as a result of a heart attack, and impede the organ's ability to pump blood. The microRNAs, which are molecules that govern the activity of several genes, were able to manipulate the fibroblasts to transform into cells that looked like cardiomyocytes, which comprise heart muscle. The results of their study have been published in the journal Circulation Research. While further exploration is required, the find is promising for the millions of people in the U.S. that suffer from heart disease, the leading cause of death in this country. But it has application beyond that. If it works for the heart, theoretically it would help regenerate tissues in the brain, the kidneys, and other organs.